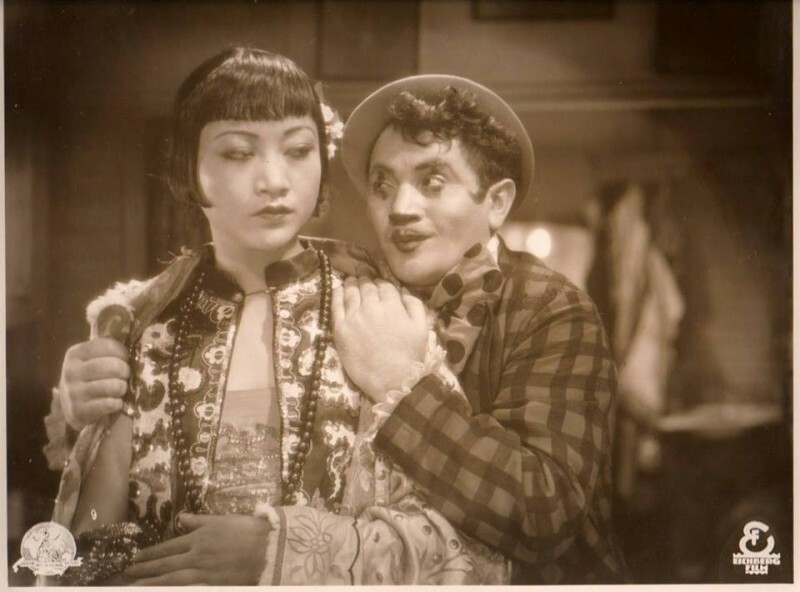 The main feature is Pavement Butterfly (1929), is a German English co production directed by Richard Eichberg in Germany, and stars Anna May Wong. This will be screened using a 35mm BFI print, and will be accompanied by guest pianist Stephen Horne. In this, her second silent film with Eichberg, Wong plays Princess Butterfly, an exotic Parisian fan dancer whose “death leap through a circle of naked swords” act goes tragically wrong. Blamed for the impalement of a fellow performer, she runs away and takes shelter with a handsome but starving painter who she brings luck. The shorts programme will consist of Blue Bottles (1928) – a British short comedy film starring Elsa Lanchester, directed by Ivor Montagu & written by Frank & H.G. Wells. There is also a brief appearance by Charles Laughton in the film. This film will also be screening from a 35mm BFI print. Additionally there will be some short films, newly transferred from nitrate to 2K, from the collection of Bob Geoghegan. The evening has been programmed by Michelle Facey who will be presenting.